KC Elite would like to congratulate our 14U Major team for once again bringing home another title, it’s their 2nd championship in as many weekends. This group just continues to amaze the organization with their approach to playing the game and how they go about their business. Coaches Ray Jaso and John Hayes do a great job of preparing these young men to compete every week at practice and it’s obviously carrying over to the field on the weekends. With 1 young man running cross country and 3 playing football, there are times where they may have 7 or less players at practice but they still work hard and get better. 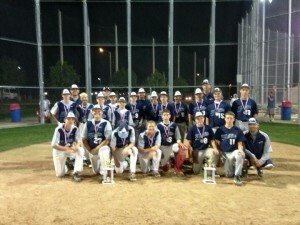 This championship did come at a small cost as they had to beat our own AAA KC Elite Tigers for the title. 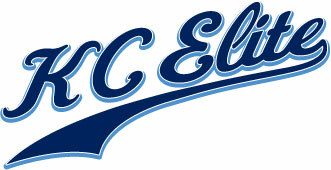 Thanks to the players, parents and coaching staff for team KC Elite (Blue) for another great weekend of baseball.